HART, the National Trust's Heritage and Archaeology Rangers Team, is an exciting volunteer initiative set up in the Midlands to improve the Trust’s understanding of the archaeological sites under our care. 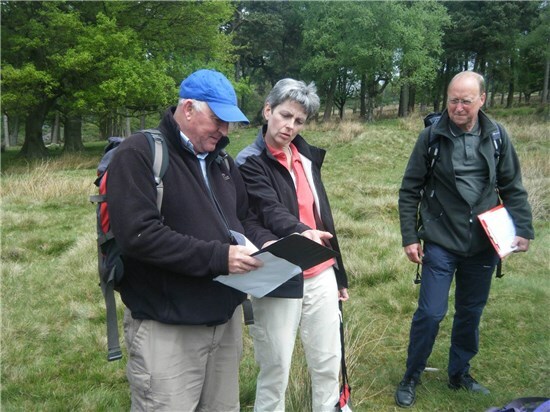 It is a scheme involving teams of dedicated volunteers undertaking fieldwork and collecting information about the current condition of these important sites and buildings. The HART initiative is still in its trial phase and the capacity for National Trust properties to co-ordinate volunteers who enroll is still being built up and varies across Regions, therefore not all applications to volunteer can be accommodated at present - decisions will be based on the geographic availability of HART Support Staff. What do HART Volunteers do? Take an active role in “conservation”. The information collected by you will help to inform the management of our archaeological sites. How is the HART data used? How do I become a HART Volunteer? Please note: Before you can conduct any monitoring site visits you must have registered for the National Trust HART programme and received full training from your local archaeology co-ordinator. Training will provide further guidance upon how to undertake the archaeological monitoring, land-ownership (much of our land is tenanted) and health and safety. Register here, after you have been in contact with your local archaeology coordinator. For general information and the answers to some of your questions about volunteering with the National Trust please visit the volunteering pages on the main National Trust website.